Have you heard? U.S. News & World Report has been compiling a list of the best colleges in the United States in their latest guidebook, Best Colleges 2014. That’s not all that’s in the book either! I had the opportunity to get my hands on a copy and read through it so that I could provide you all with a quality review of the book. So, that’s exactly what we’re going to do today. When I first started reading the book, I have to say, I was a bit confused. Granted, I’m not a real eBook type of guy. Although the book is available on paper as well as in several other platforms, I chose the eBook route for research so I could get my hands on it quickly. Nonetheless, once I figured out how to find my way from one section of the book to the next, I quickly realized something. 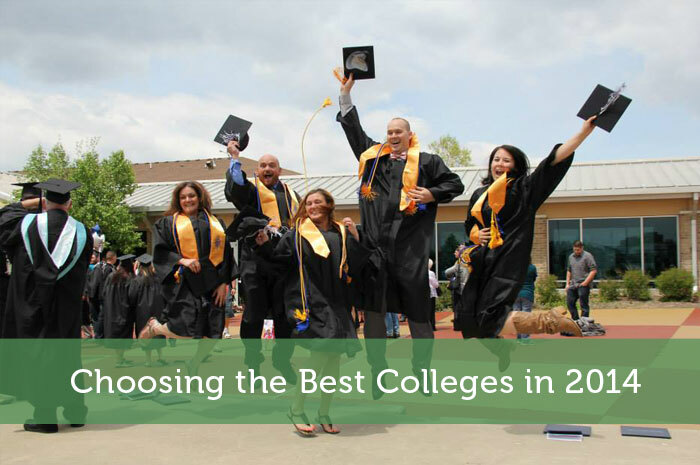 Although the book is titled Best Colleges 2014, it provides much more than that. Let’s face it; if it was just a list of the best colleges in the U.S. it would be less of a book and more of a….well, a list. So, I was excited to find that the book was far more than a list. OOPS! These Goofs May Ruin Your Chances! – This has got to be my favorite section of the book. The reality is, if you’re planning on going to college, chances are, it’s going to be your first time. You don’t have much experience filling out applications or following any of the processes. That’s OK, in the “OOPS Application Goofs To Avoid!” section of the book, you’ll learn everything you need to know to make sure that you submit flawless apps. 11 Hot Majors That Can Lead To A Great Job – You know, I had a pretty good idea of what I thought the best majors were. Well, I was right when it came to a few, but the vast majority of those on my list weren’t on this list. Before you choose your major, take a look at this section to make sure that you choose a major that will help you land a job! A+ Schools For B Students – Although there is nothing wrong with going to a community college, many students dream of going to an A+ rated school and getting an education that will be recognized in their industry. The only problem is, not everyone is an A+ student. In this section, you’ll learn tips that will help you get your foot in the door of some A+ colleges, even if you are a B’s and better student. A Blended Education – Finally, when we make it out of high school, we generally have a certain vision in mind when it comes to what college will be like. However, as with anything else, education and how we receive education is evolving. This section of the book prepares you for the blended experience you can expect with a mix of in campus and online learning. First off, I’d like to say that I would have loved to have a resource like this when I was picking colleges. Beyond just a list of schools that are indeed great schools, this book pulls together well authored personal stories, experiences, and advice. For a price tag under ten bucks, you can’t go wrong! I think I’ve mentioned before that our son, who is only in the 7th grade, has stated many times that he wants to go to Stanford. A book with an “Oops” section on what to watch out for when applying might be helpful. The biggest thing for someplace like Stanford will be how to get the cost within our reach. I doubt we will qualify for anything in the way of need, so that leaves merit. Our son currently get straight “A”s, but like I said, he’s only in the 7th grade. He does put in a lot of time at a local charity, as well. If he can keep that up through high school, he may have a chance of getting some merit scholarships. When I went to college, all we had was the huge Peterson’s book that didn’t really help much. My only caution would be to think about the school being “pushed” in this magazine. I’m sure it’s all good intentions, but I know from working at a financial advisor that a lot of the awards and mentions that are received in these things are actually bought by the company who wants to be listed.